Regular design and development services are provided for Slow Dating, the number one speed dating company in the UK. 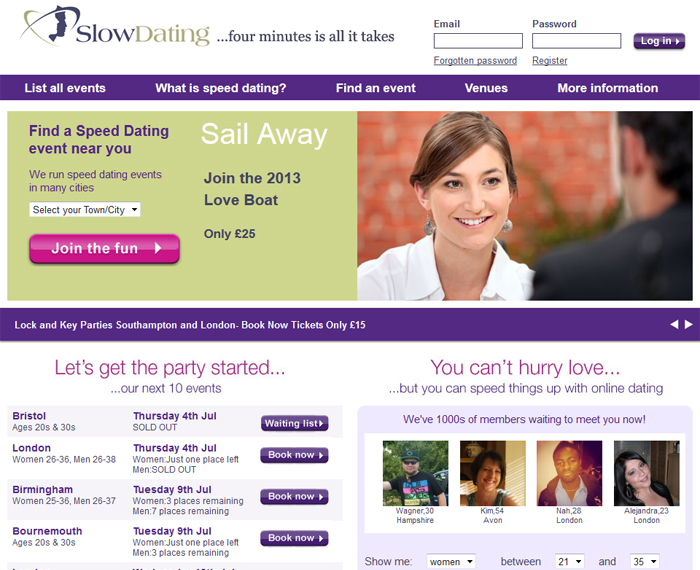 Support Slow Dating event booking campaigns via digital marketing and mobile site enhancements. page views increased by 32% since the introduction of new website.